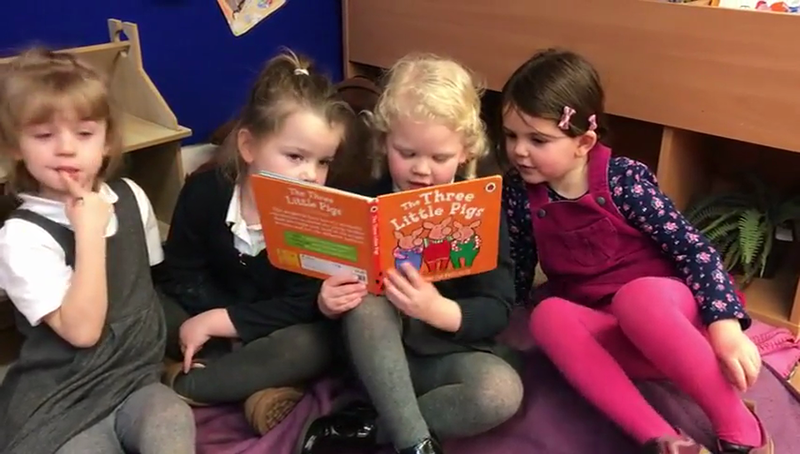 In nursery we love to read and share books. We enjoy retelling familiar stories and making up our own. Here are some of us sharing one of our favourite books! 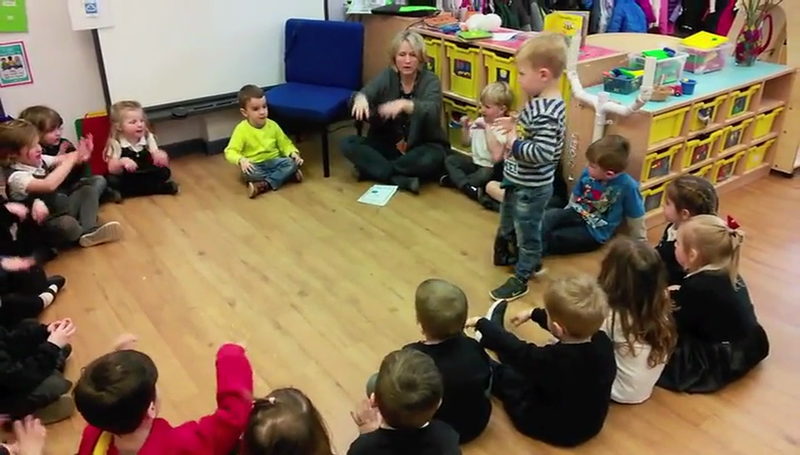 We are playing a phonic game where we use our voices to make different sounds.